The Costa Rica Safari vacation fully immerses you in Costa Rica’s diverse natural world in three separate locations where you will experience amazing opportunities to see tropical wildlife in their native habitats. Your adventure begins with a trip to one of the most remote locations in Costa Rica, Tortuguero National Park, only accessible by small plane or boat. Here you'll go on a guided riverboat safari through the narrow jungle canals and visit the local Caribbean beach town of Tortuguero. Next, you’ll be driven to the majestic Arenal Volcano to explore the lush rainforest canopy walking over hanging bridges with a naturalist guide. Later you’ll bathe in Tabacon’s luxurious natural volcanic hot springs. Your last adventure will take you across scenic Lake Arenal by boat and by land up into the mountainous old growth highland cloud forests of Monteverde. Here you’ll go for an informative guided hike while observing the unique biology found only in the beautiful Monteverde Cloud Forest area. 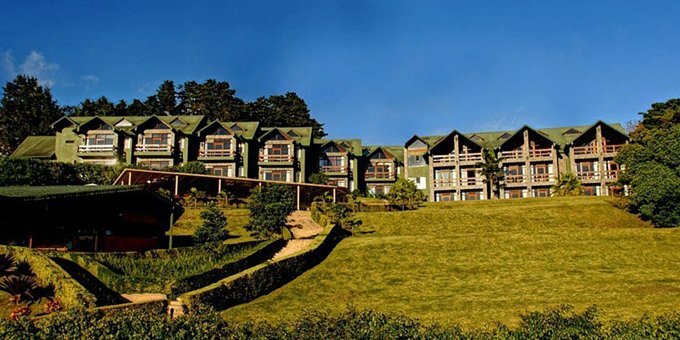 When you first arrive, you’ll stay at a luxury hotel in the capital city of San Jose, afterward, you’ll be staying in nature-friendly ecolodges, putting you as close to nature as possible for a full immersion experience. As with all of our specialty vacations, the Costa Rica Safari value-packed itinerary can be 100% customized to meet your specific budget and needs. Check pricing notes for details. Take Advantage of Green Season Discounts! Costa Rica Safari will thrill nature enthusiasts who want to see the exotic flora and fauna of Costa Rica. After your first night in the city of San Jose, you’ll stay in a variety of ecolodges exploring three different climate and biological life zones to observe Costa Rica’s amazing diversity of tropical wildlife. Guided by professional experts, you’ll cruise the remote Caribbean coastal canals of Tortuguero National Park, then travel to Arenal Volcano where you’ll hike the rainforest over hanging bridges before luxuriating in Tabacon’s world famous natural volcanic hot springs. A scenic boat ride will take you across beautiful Lake Arenal, then by land, you’ll continue up the mountains to the Monteverde Cloud Forest to experience yet another unique biosphere. This incredible Costa Rica Safari nature vacation is also fully customizable, so you can craft the itinerary as you wish to make it your own. 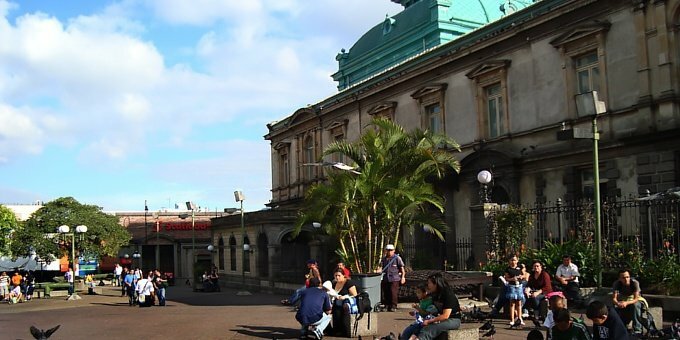 When you arrive in Costa Rica, our representative will be waiting to greet you at the airport and provide private transportation for you to stay at the lovely Hotel Grano de Oro located in the capital city of San Jose. This boutique style hotel offers luxurious accommodations including rooftop Jacuzzis and personalized service. Your room will be the well-appointed Standard Room of this beautifully converted Victorian mansion. Enjoy your first night in Costa Rica! You’ll be picked up early the next morning for your transfer over to Tortuguero, remotely located on the northernmost Caribbean coast. Along the way, you’ll stop for a traditional Costa Rican breakfast and continue on until paved and unpaved roads eventually end at a river. You’ll board a boat that will take you through the remote Tortuguero canals, one of the wildest and rarest wilderness sites in Costa Rica only accessible by boat or small plane. Your guide will point out and help you identify the abundant jungle wildlife surrounding you. You will land at the Mawamba Lodge at Tortuguero, a rustic ecolodge embracing nature’s beauty and providing visitors with a base camp for enjoying the wonders of Tortuguero. The lodge offers a refreshing swimming pool, nature trails, butterfly gardens, and a beautiful dining area. Your clean, rustic Standard guest room is basic with beds, bath, porches, hammocks and rocking chairs. After eating lunch, you’ll go on a tour of the village of Tortuguero, stopping at the interesting historical museum, the beach where turtles come to nest annually, and then to pay your national park entrance fee (not included). The next day, a naturalist guide will take you hiking the lodge’s grounds to see two butterfly gardens, a frog habitat, and a sustainable bio-composter, plus point out any wildlife visible on the property. In the afternoon, you’ll explore the dense jungle cruising by boat on a guided riverboat safari through the canals. Tortuguero is home to many species of wildlife including but not limited to caiman, tapirs, manatees, monkeys, sloths, jaguars, river otters, tropical birds, and sea turtles, so bring your camera! In the morning after breakfast, a boat will provide a ride back down the river to the mainland where you’ll meet the land transfer that will take you to a traditional Costa Rican restaurant for lunch. From here you’ll switch transfers and continue on to the Los Lagos Hotel Resort and Spa near Lake Arenal and next to the towering Arenal Volcano. 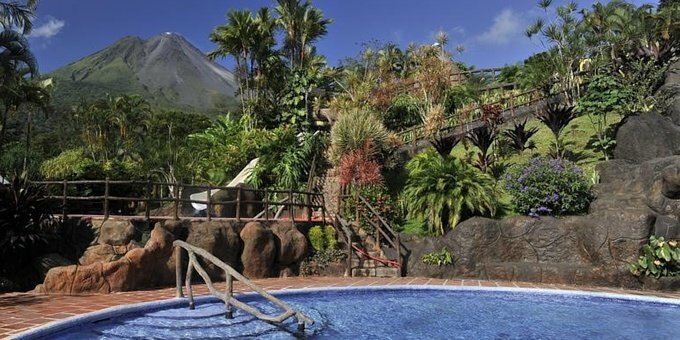 This value-packed eco-resort with its spectacular view of the volcano features a multitude of onsite hot springs, waterslides, a cold swimming pool plus a butterfly house and crocodile exhibit. The spacious grounds are surrounded by lush tropical flowering gardens. You’ll be staying in the Standard Room conveniently located near the hot springs, restaurant, and pool area. The next morning, you’ll go on a guided visit to the Arenal Hanging Bridges. This hike will take you on terrestrial trails through the jungle and across suspension bridges high up in the forest canopy so you can experience all aspects of the forest. Your guide will point out any animals you encounter along the way such as monkeys, toucans, sloths, poison dart frogs, and many other species that are commonly spotted here. 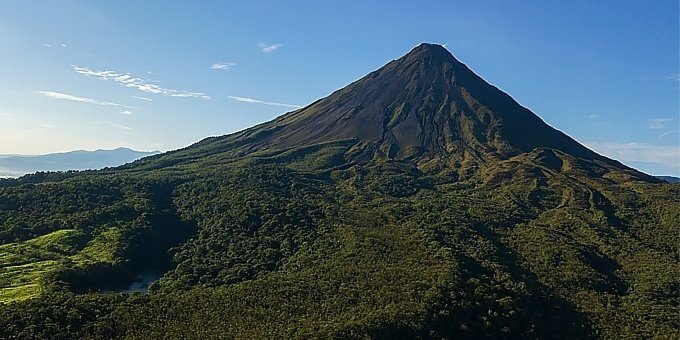 The next day, you’ll go on a guided tour through the jungle at the base of Arenal Volcano to learn about the volcano and the natural history of the area. 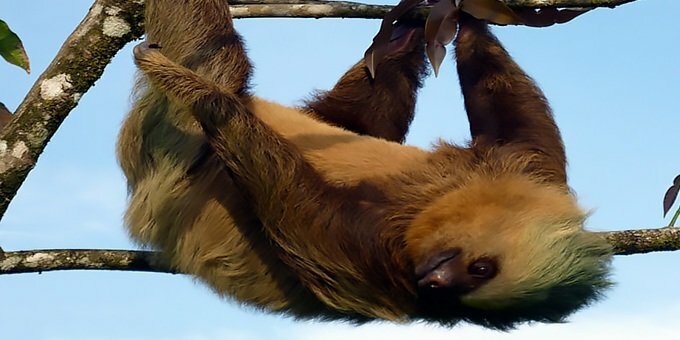 With a little cooperation from Mother Nature, your guide may spot and identify visible wildlife, the most commonly seen are sloths, monkeys, peccaries, agoutis, pizotes, and exotic tropical birds. Following the tour, you’ll visit the warm, inviting volcanic waters at Tabacon Hot Springs for a relaxing evening soaking in nature’s naturally heated river with cascading waterfalls and private grottos. Here in this tropical paradise, you’ll also enjoy a fine dinner. The following day, we’ll provide a transfer to nearby Lake Arenal where you’ll board a boat to cross the scenic lake surrounded by picturesque mountains. 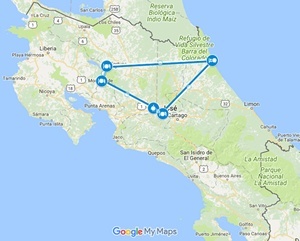 On the other side, you’ll continue by ground transfer through the rural countryside and up into the mountainous Monteverde Cloud Forest area. At an elevation of approximately 5,000 feet above sea level, Monteverde is an extraordinary region of cloud-shrouded forests with enormous old growth trees covered by air plants and dangling vines. This is a botanist’s dream with a stunning variety of native bromeliads, orchids, fungus and lichen. The cloud forest is also home to many unique species of highland birds, reptiles, amphibians, and mammals. You’ll stay at the El Establo Mountain Hotel built on a hillside overlooking a spectacular panoramic view. The lodge offers trails, a heated swimming pool, and spa services to give you a relaxing stay in peaceful surroundings. Your room will be the Deluxe Room. The next morning, you’ll go to the Monteverde Cloud Forest Reserve for a guided hike through the cloud forest led by a naturalist. With a little luck, your guide may point out birds such as the resplendent quetzal, emerald toucanette, trogons, and hummingbirds. You may also see pizote, sloths, and some of the many other mammal species that call the cloud forest biosphere its home. On your last day, we’ll provide a private transfer back to the airport according to your particular flight schedule. 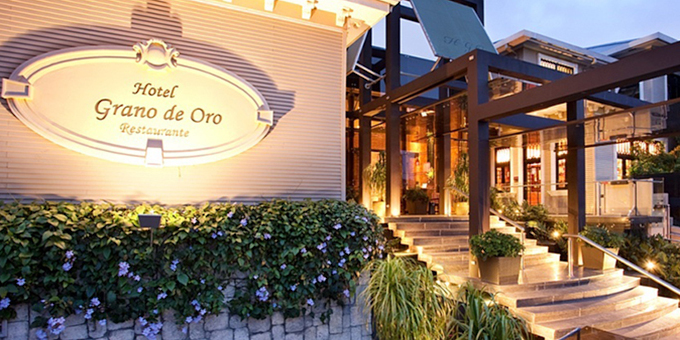 We will be waiting for your arrival at San Jose International Airport (SJO) and then provide a private transfer for you over to the Hotel Grano de Oro in San Jose, where you’ll be staying tonight. 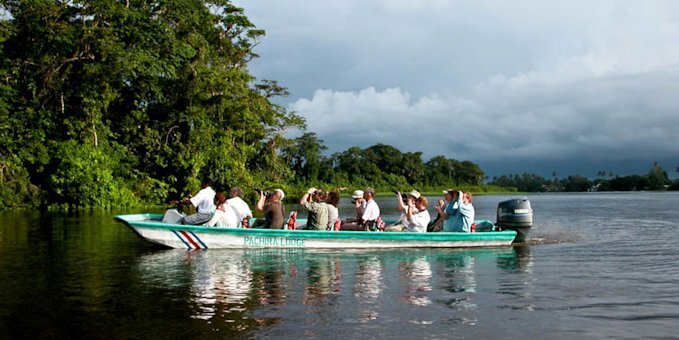 Early in the morning, a transfer will be provided to take you to the Mawamba Lodge in Tortuguero. On the way, you’ll stop at a traditional Costa Rican restaurant for breakfast and then continue until the road ends at a remote boat dock. Here you’ll board a boat and continue on into the wilderness area of Tortuguero until you reach Mawamba Lodge. After lunch, you’ll visit the town of Tortuguero, including stops at the museum and beach area famous for nesting turtles. While in town, you will need to pay cash for the mandatory national park entrance fee ($15 per adult, $5 per child between the ages of 5 - 11, and free for children 4 years or less) which is not included. A naturalist guide will lead you on an easy morning hike over the lodge’s property to see 2 butterfly habitats, river turtles, frogs, and a bio-composter. 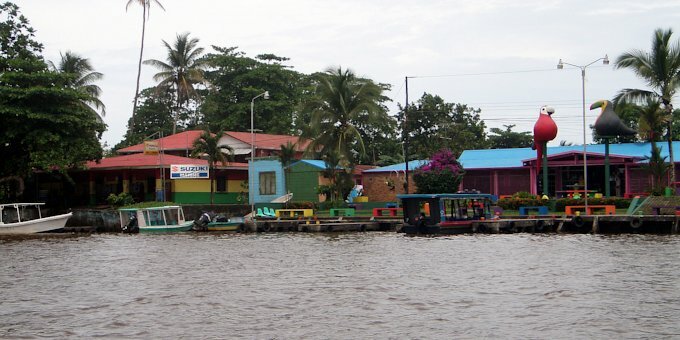 In the afternoon, you’ll go on a guided riverboat jungle safari exploring the Tortuguero Canals. You’re likely to see plenty of wildlife on both tours, so bring a camera! After breakfast, you’ll board a boat back to the mainland and then a ground transfer will take you as far as a typical Costa Rican restaurant for lunch. 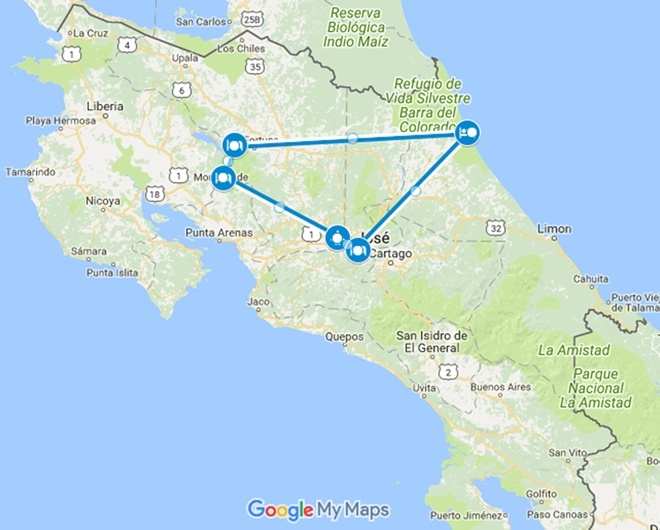 Here, you’ll switch transfers and continue on to the Arenal area, located just outside the town of La Fortuna and check into Los Lagos Hotel Resort and Spa next to the Arenal Volcano. Enjoy the resort’s many hot springs of varying temperatures, waterslides, cold swimming pool and lush gardens with nature exhibits. 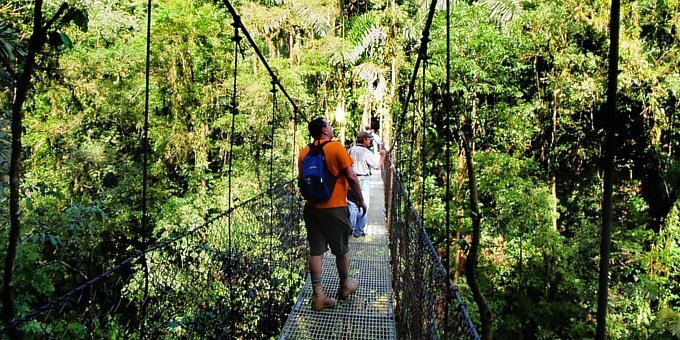 Today you’ll go on a guided hike at the Arenal Hanging Bridges. Walking leisurely over both terrestrial trails and suspension bridges through the tree canopy, you are sure to learn all about the rainforest and hopefully see plenty of wildlife! In the afternoon you might like to take a taxi into the small but lively town of La Fortuna to explore the tourist shops and variety of restaurants. A naturalist guide will lead you on a hike through the rainforest at the base of Arenal Volcano while explaining the natural history of the area and telling you about the jungle plants and animals indigenous to the area. After the hike, you’ll visit the luxurious Tabacon Hot Springs to soak in geothermal river waters heated by the volcano surrounded by waterfalls and grottos. At Tabacon, you’ll also dine along the river. After breakfast, you’ll be transferred over to beautiful Lake Arenal where you’ll cross the scenic lake by boat. On the other side, you’ll continue by land transfer up to Monteverde. You’ll check in and stay at the El Establo Mountain Hotel. Relax and enjoy the spectacular view, heated pool, and onsite trails! 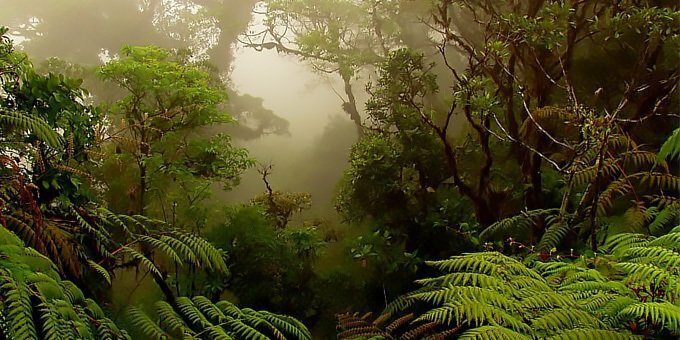 A bilingual guide will lead the way on an informative nature hike through the Monteverde Cloud Forest Reserve. You’ll learn all about the ancient old growth forest and with a little luck should be able to see some of the native wildlife such as pizotes, kinkajous, sloths, reptiles, amphibians, and tropical highland birds. Today we’ll provide a private transfer back to the airport, scheduled according to your flight itinerary. Low Season 2018 rates start at $1,108 USD* per person double occupancy, $969 USD* pp for triple occupancy, or $1,699 USD* pp for single occupancy for the lodges listed above. High season 2019 rates start at $1,245 USD* per person double occupancy, $1,096 USD* pp for triple occupancy, or $1,949 USD* pp for single occupancy for the same lodges. Low Season 2019 rates start at $1,186 USD* per person double occupancy, $1,036 USD* pp for triple occupancy, or $1,831 USD* pp for single occupancy for the same lodges. You can upgrade or downgrade hotels to match your preferences and budget.